Do you have a good eye for technology? Or maybe a hidden journalist in you, or a writer perhaps? 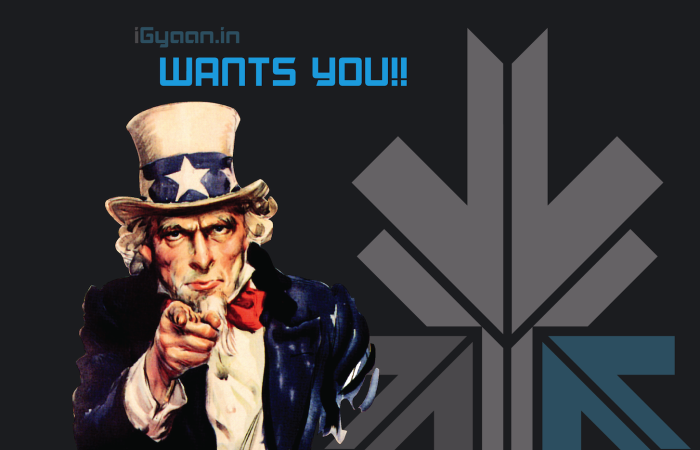 Then you should consider joining iGyaan Networks. To edit and manage the content of four online magazines. To critically check the text of articles before they are published. To make sure that the copy is factually correct and that it suits the target audience. To find suitable headings and an apt overall page design.The job requires constant attention to detail within a fast-paced working environment. Writing style should be crisp and articulate. Graduate/Graduating with English as a major. Composing, Editing and compiling 3-4 short videos everyday. The job requires ability to work under pressure and adhere to deadlines. Contributing articles for our four online magazines. To be able to ideate and create engaging content for the online magazines. Role would include writing, editing, proof-reading, and sub-editing. All positions are full-time and our office is located in New Delhi. Please ensure that the location is not a problem while applying for the positions. All other applications will be rejected. English plays an important role in the above jobs. If applying, please ensure you have excellent written and oral English skills, and have graduated with English as a subject.